Smart ID Software makes it easy for you to design and print professional ID badges and a multitude of other plastic card needs at your fingertips. 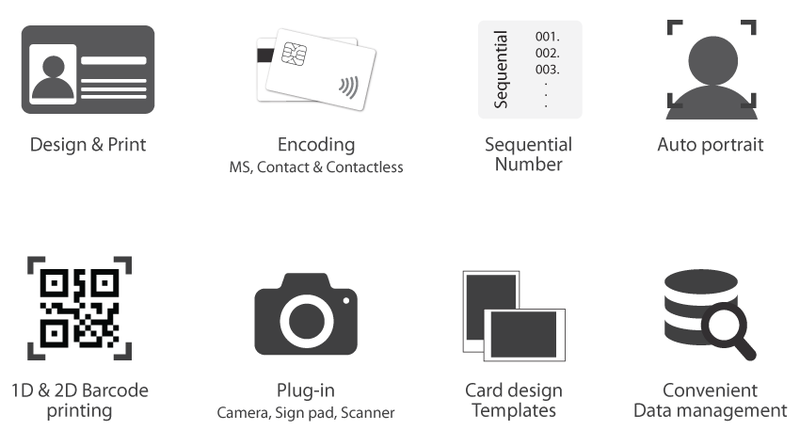 Smart ID allows you to add images, text, barcodes, manage databases and provide card encoding options. Our Smart ID software comes with the SMART printers free of charge and can be used to design and print ID cards, ID badges, and more. This software program is not for sale. It is intended to use only with the SMART ID Card Printers.